Sisters come in all shapes and sizes. Some are younger, others older. Some are interested in fashion, others in toys. Compiling a list for sisterly gifts was indeed complicated, but we have decided to focus mainly on gifts for sisters over the age of 16. This is why we have included mainly jewelry and make-up items, but also a few cute gifts that a younger sister might like as well. Can’t take your sister to Paris yet? Here’s a small, sweet token of your love and your intentions of someday, after finishing college, finally taking her to the city of her dreams. In the meanwhile, let her carry this small reminder that you will go there together. 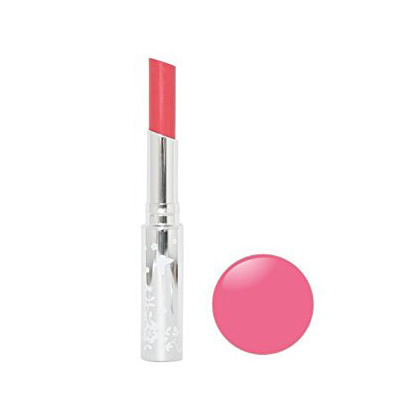 If your sister is a fan of makeup, this affordable lip glaze will make the perfect gift for her. Plus, it is made without chemicals or animal testing. It is vegan and 100 percent natural, as well as gluten free, for all the people who are allergic. Considering that your sister is at the age where she uses make-up, we have prepared a few great quality makeup products. 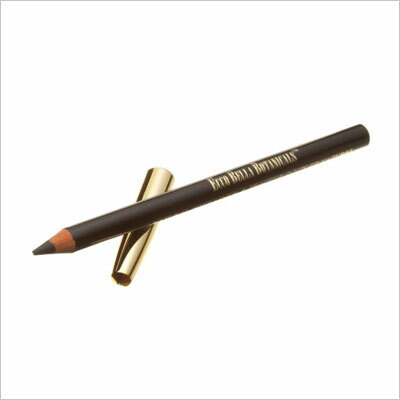 This Ecco Bella pencil eyeliner would go perfectly with the lip glaze we just talked about, since it is also gluten, preservative, and synthetic wax free, perfect for those galls trying to keep it au naturel. Since we’re in the makeup department, let’s simply go through the whole pallet. This concealer is easy on the skin, it doesn’t make it look greasy, and it’s both chemical and fragrance free. A mistake-proof product at an affordable price. 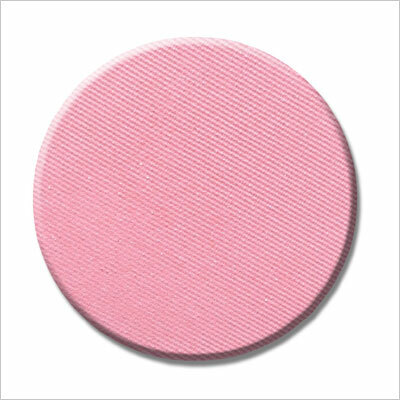 After the concealer comes this natural blush made from gluten-free ingredients that will treat your skin as mother nature would. Plus, the shade is lovely, and there are plenty of other shades to choose from as well. 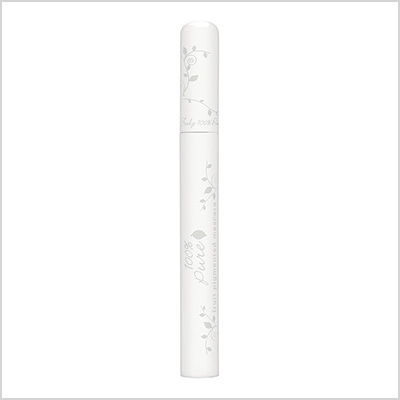 Last, but certainly not least, a mascara would complete any makeup look, and this particular one lengthens, separates, and thickens the lashes, while being 100% natural, vegetarian, and water and smudge resistant. 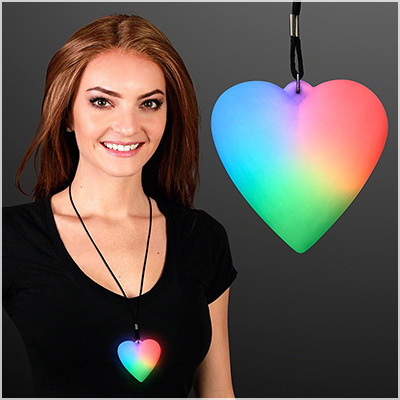 For the sister who is still a kid at heart, this heart shaped LED necklace might be a perfect Christmas gift. It is actually something that makes a statement, by being so colorful and unique. The LED has 6 different light settings, featuring green, red, and blue lights. If your sister has an iPhone 7 Plus, she will definitely enjoy this case, especially if she also loves rose gold everything, which is extremely fashionable this year. 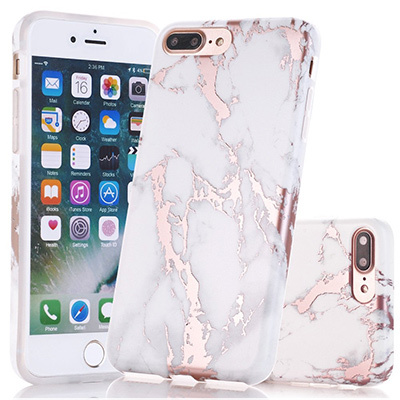 The marble design gives a classy touch to the case, and the affordable price recommends it as a low-budget Christmas gift. 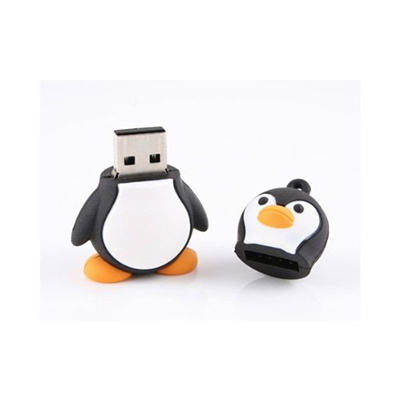 This adorable USB memory stick is the ideal choice for a Christmas Gift. It has 8GB of memory, and girls of all ages would love to carry such a cute little baby penguin around with them. Great Acczilla product, great Acczilla price! Although this could also be suitable for your girlfriend, you can very well purchase it for a sister. Its vintage appeal and leaf medallion make it look like some sort of unique hand-made jewelry piece. 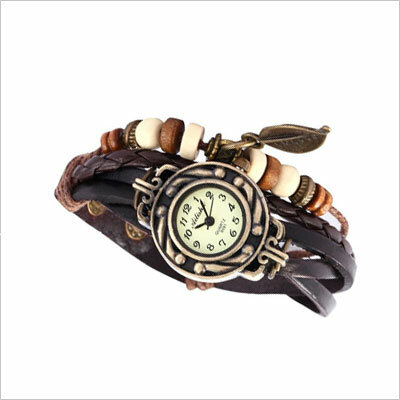 It uses precise quartz movement to keep accurate time, the leather band is adjustable, and the alloy dial is beautiful. This particular gift from our list of best Christmas gifts for women is more high-tech than others. Depending on your sister’s tastes, she might like it or not. We find it quite interesting, and the staggering amount of colors can help you decide on a suitable bracelet. 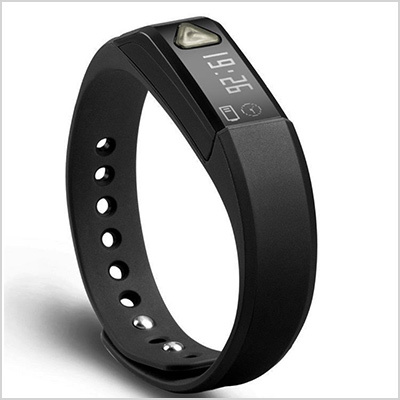 It supports the iOS and Android systems, calculates the consumption of calories, and records how many calories you’ve burned daily. This circular ceiling pendant is truly something special. At the moment, there are several models available on Amazon, but this one seems more appropriate for a little sister. 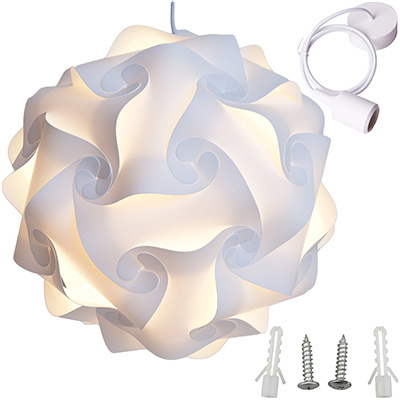 It comes in a variety of colors, it has a hanging cord, and it features an interesting design. We will start by saying that this mug looks so realistic that you might actually mistake it for a real camera lens (expect maybe if you are a photographer). 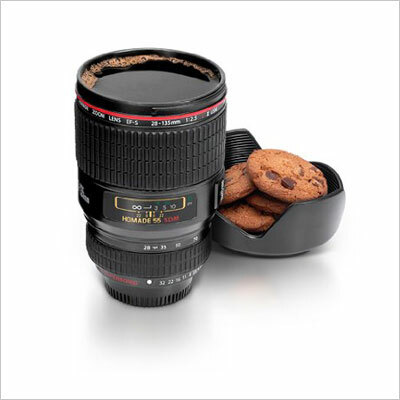 Funny and unexpected, the Camera Lens Coffee Mug is an excellent gift idea for your sister, especially if she enjoys coffee. If not, she can indulge in cookies and tea. 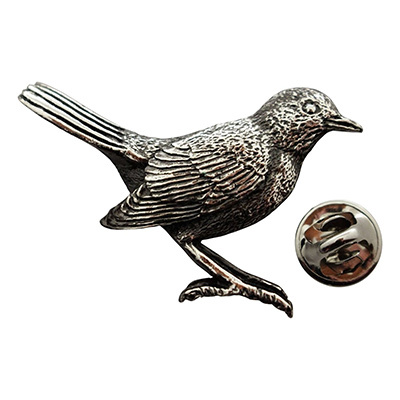 This inexpensive robin pin is a great accessory that can be worn on a variety of pieces of clothing, like jackets, hats, backpacks, and more. It quickly makes a statement, without your sister having to put a lot of effort into it. 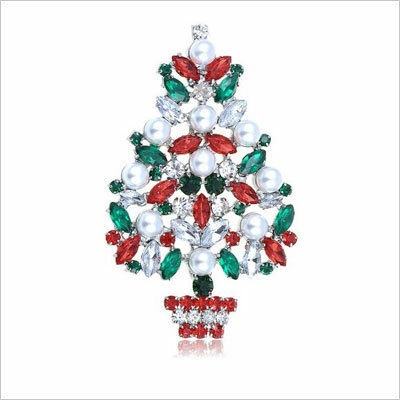 Another beautiful gift on our list of best Christmas gifts, worthy of the Christmas spirit is the Xmas Tree Faux Pearl Pin. 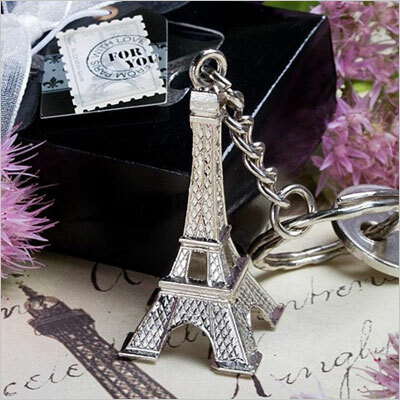 The pin is extremely small and delicate, and it will look great on anything, from a school uniform to an elegant attire. Celebrate the warmth of Xmas gift giving with this wonderful pin, perfect for scarfs, sweaters, or coats. Any girl over, let’s say the age of 12, has developed some sense for fashion. Nevertheless, brothers still tend to view their sisters as children, and not as women. 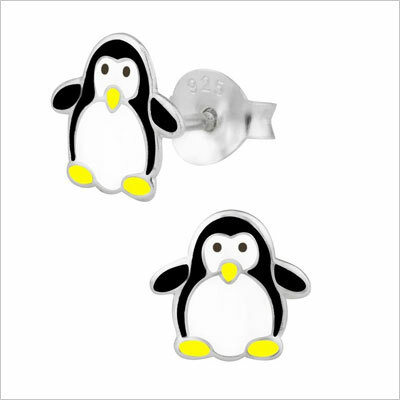 These playful penguin earrings are definitely something you would expect a brother to offer to a sister. Playful yet elegant, these earrings will definitely make your sister smile. This particular watch model is available in various colors, but we enjoy the lime color best, because it is very vivid. 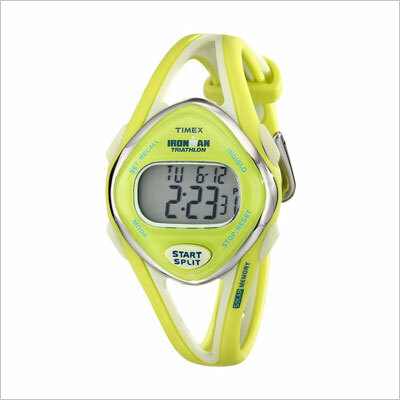 This Timex Women’s T5K656 Ironman watch is perfect for everyday use, and the accurate digital quartz movement ensure that your sister will always know what time it is. Yes, we like Panda bears, but other girls love them too. This is an adorable Xmas gift that every sister will enjoy, especially considering the recent rave with lucky charm bracelets. The medallions on it are handmade, so they may vary in size. This product has received excellent reviews, and for good reason. First of all, it comes in a staggering amount of colors and patterns. Secondly, the wallet is very spacious and comfy, the zippers are high-quality, and the material resistant. We wholeheartedly recommend this product. 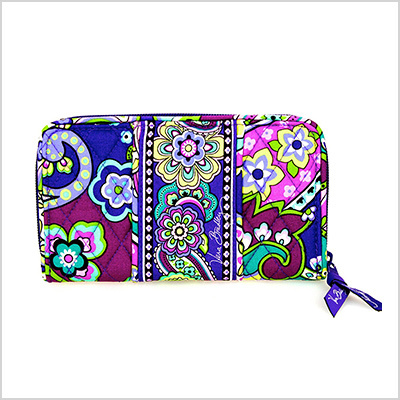 If you’re sensing a pattern here, it’s because Vera Bradley products are just too good to pass up. Much like the Accordion Wallet, the Hipster bag also comes in an enormous amount of patterns and colors. They are awesome, spacious, and perfect for school. 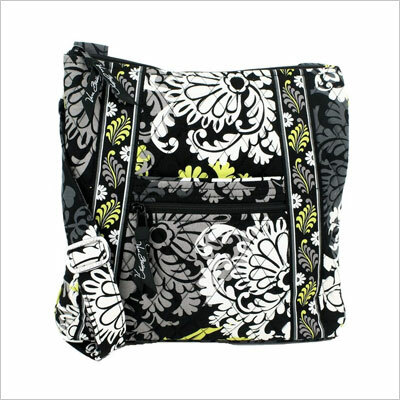 The bag has a 52” adjustable strap, for comfortable wear. 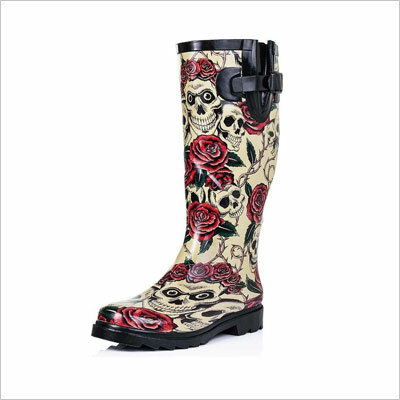 Yet another collection of incredible models, this time in the form of rubber boots, these products can also become an excellent gift idea for Xmas. The models will ensure that your sister stands out in the crowd. In terms of comfort and usability, these rubber boots are made from durable waterproof material, large grip soles, and cushioned foot-beds. 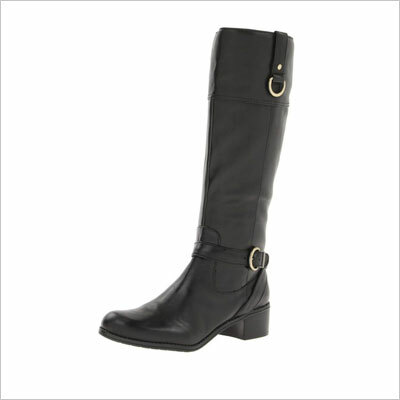 If you are looking for something a little more conservative, the Bandolino Carmine riding boots can be a great choice. You may not know much about fashion, but riding boots are hot this season, and every fashionable girl seems to want a pair. If quality is your primary concern, this pair of boots will not disappoint. They are made from the best leather, and equipped with man-made soles. 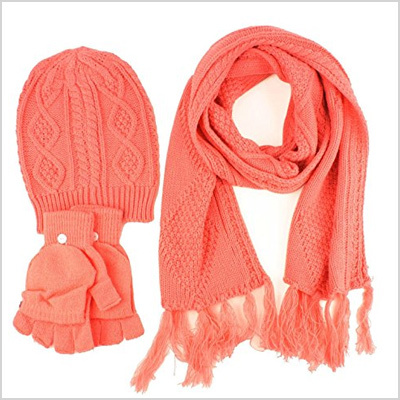 A cheerful set made of a hat, a scarf, and a pair of gloves, this will work perfectly with the season’s spirit. The scarf and mittens are 100% acrylic, and the lining is 100% polyester, and they’re both high-quality, which is what should concern you. 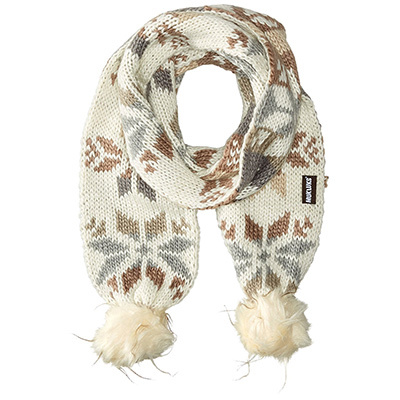 This scarf is really something else. It almost looks as if it were handmade. Considering that more and more women/girls are looking for handmade products, you will definitely get it right with this gift. The combination of colors is great, the material is 100% acrylic, and the scarf is multifunctional. If you haven’t dared to purchase clothing items for your girlfriend, you can at least experiment with your sister. A little training can’t harm you. 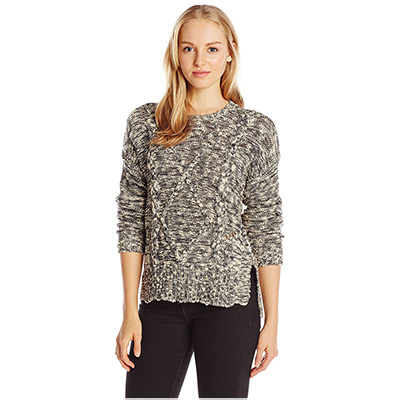 The Roxy Juniors’ sweater is a great gift idea, because it is simple, stylish, and warm. If you’re not going to buy this for your mum, or for your girlfriend, at least buy it for your sister. It is too nice not to purchase, seriously! Not only is it gorgeous, but it is also pretty cheap. If this color scheme is not your sister’s favorite, there are others that you can choose. This is a gift idea more suitable for a young sister, because it has an adolescent feel to it. Since it is so beautiful, this dress can also be worn by women of all ages, so if you know this is something your sister would like, just go for it! If your sister hasn’t found her passion yet, who’s to say that it will not be a musical instrument? 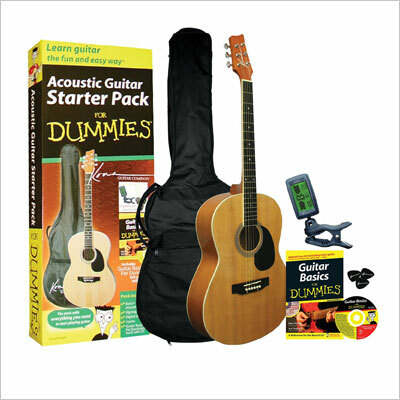 The guitar is definitely the easiest, most common musical instrument, and this Guitar for Dummies Acoustic Starter Set is just what she might need to explore the musical side of her personality. If you don’t feel like the real thing is exactly what your sister needs, you can always help her discover her passion in the virtual world. 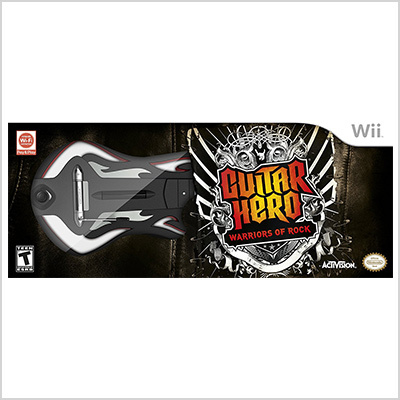 The Guitar Hero game has fascinated people since its initial release, and the Warriors of Rock Bundle for Nintendo Wii will not disappoint. Everybody loves Sims, that’s why we mentioned it in this list of best Christmas gifts for women. It is one of those games that we played back in 2005, and it is definitely going to still be played in the future. 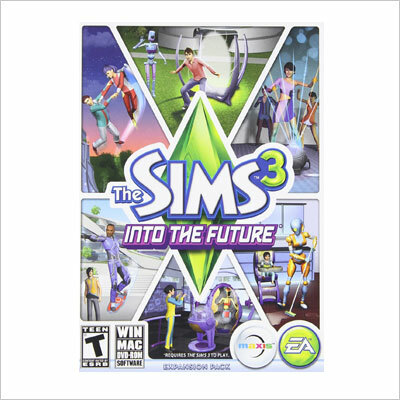 Sims 3 Into the Future is one of the best series ever made, and your sister will definitely enjoy playing it. Until now, we have chose less childish gifts. Nevertheless, this gift was too cute and interesting to pass out. 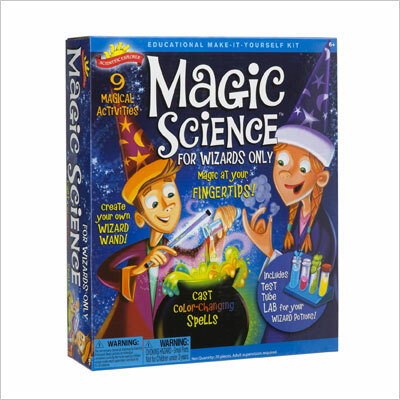 The Magic Science for Wizards bundle comes with 9 activities that you have to perform, such as color changing spells, magical potions, and more. The best thing about having a sister is actually enjoying family time. 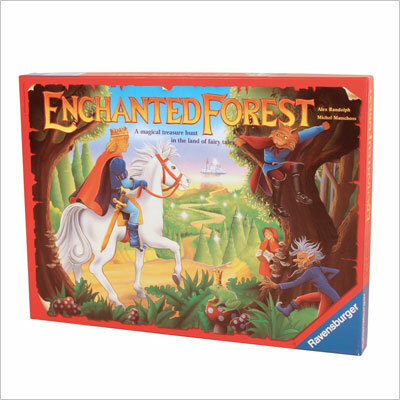 If you want to play a game with your parents and your sister, we recommend the Ravensburger Enchanted Forest game for tons of family fun. 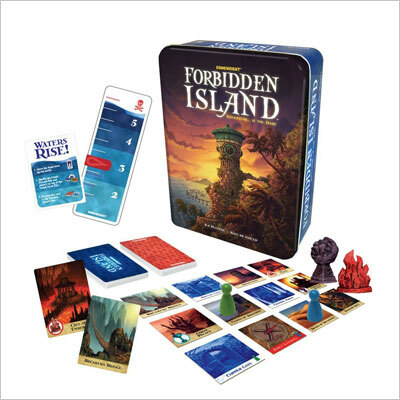 An interesting game fit for the winter holidays, Forbidden Island takes you on a mission to capture four sacred treasures from some ruins. This game requires strategic thinking, problem solving skills, and cooperation. It is also reasonably priced, so why not buy it? This is a roller-coaster ride of adventures, emotion, and an overall metaphor for unfortunate things that happened. 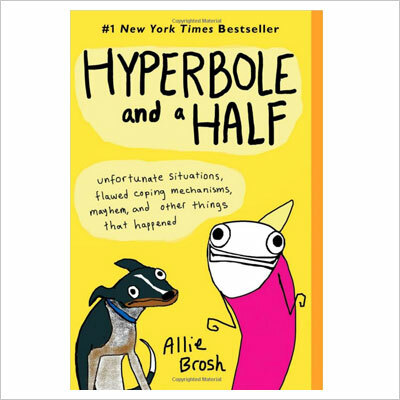 Allie Brosh originally posted these stories on her blog, and since they were so well received, she published them in a book. They are worth the read.